Mogadishu - A week of violent clashes between rival forces in northern Somalia has killed 11 people and forced more than 50 000 to flee, the UN humanitarian agency said on Saturday. Tensions between the rival regions of Puntland and Galmudug soared last month after Galmudug said 13 of its soldiers were killed in a misdirected US airstrike which was supposed to be targeting Shabaab fighters. Galmudug immediately accused its neighbour of prompting the strike by feeding Washington false information, sparking a deadly standoff between the rival regions. On October 7, clashes erupted in Galkayo, a town divided between the two administrations and rival clans, with Puntland accusing Galmudug forces of staging an attack in retaliation for the US strike. 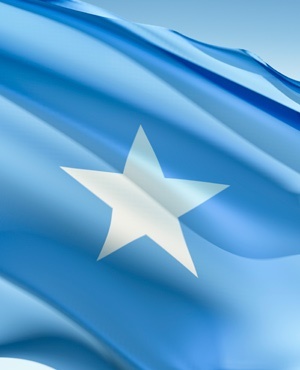 "At least 11 people were killed and dozens wounded between October 7 and October 13," Tapiwa Gomo, Somalia spokesman for the UN Office for the Coordination of Humanitarian Affairs (OCHA), told AFP. He added that a peace agreement signed on October 9 had failed to hold with fighting erupting "less than 24 hours after". "Intermittent fighting continues and humanitarian partners in Gaalkacyo (Galkayo) estimate that over 50 000 people have been displaced as of 13 October," said an OCHA statement released late on Friday. "Local authorities have indicated that the number could be higher as more people continue to flee the violence," it said, indicating that around 60% of these civilians were interally displaced people being forced to flee a second time. "The armed violence has exacerbated an already fragile humanitarian situation." Galkayo, which lies about 700km northeast of Mogadishu, is not under the control of the central government and has seen frequent clashes between rival groups and clans. Such groups are distinct from the al-Qaeda linked Shabaab fighters who are fighting to overthrow the internationally-backed government in Mogadishu. In December 2015, at least 20 people were killed and 120 wounded in an eruption of violence between rival militia groups from Puntland and Galmudug that forced more than 90 000 people to flee. The US Africa Command (Africom) confirmed the September 28 strike near Galkayo, saying it was a "self defence strike" targeting Shabaab militants, which had killed "nine enemy fighters".